OAK BROOK, Illinois, January 16, 2018 (ENS) – Fast food giant McDonald’s today announced that by 2025, all of the company’s guest packaging will come from renewable, recycled, or certified sources, with a preference for Forest Stewardship Council certification. 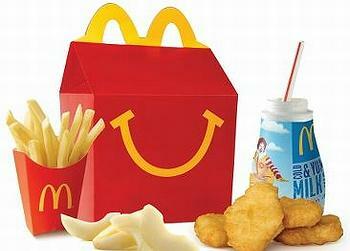 Also by 2025, the company has set a goal to recycle guest packaging in all McDonald’s restaurants. Currently, 50 percent of McDonald’s customer packaging comes from renewable, recycled or certified sources and 64 percent of fiber-based packaging comes from certified or recycled sources. 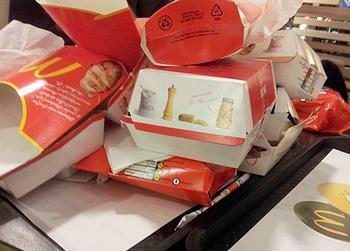 Today, an estimated 10 percent of McDonald’s restaurants globally are recycling customer packaging. With more than 37,000 locations in over 100 countries, McDonald’s is the world’s second largest fast food restaurant chain, after Subway. McDonald’s said in a statement that the company understands that recycling infrastructure, regulations and consumer behaviors vary city to city and country to country around the world, but it plans to be part of the solution and help influence powerful change. The new goals expand upon McDonald’s existing goal that by 2020, all of its fiber-based packaging will come from recycled or certified sources where no deforestation occurs. “We have a responsibility to use our scale for good to make changes that will have a meaningful impact across the globe,” said Francesca DeBiase, McDonald’s chief supply chain and sustainability officer. To reach these goals, McDonald’s will work with leading industry experts, local governments and environmental associations, to improve packaging and recycling practices, drive smarter packaging designs, implement new recycling programs, establish new measurement programs and educate restaurant crews and customers. Environmental groups praised the fast food company’s decision to extend its sustainable packaging practices. McDonald’s first began its focus on sustainable packaging nearly 25 years ago with the establishment of the groundbreaking partnership with the Environmental Defense Fund. The initiative eliminated more than 300 million pounds of packaging, recycled a million tons of corrugated boxes and reduced waste by 30 percent in the decade following the partnership. In 2014, the company joined WWF’s Global Forest & Trade Network program and set its fiber sourcing targets, including FSC preference for packaging made from wood fiber. “McDonald’s global preference for Forest Stewardship Council, FSC, certified materials demonstrates their far-reaching commitment to source packaging that benefits people and forests around the world,” said Kim Carstensen, director general of the Forest Stewardship Council. “The partnership between McDonald’s and FSC, the world’s most trusted certification of forests and forest products, also creates a uniquely powerful opportunity for McDonald’s to engage customers about simple ways to protect forests,” he said. The nonprofit organization As You Sow first filed a shareholder resolution with McDonald’s in 2012 urging the company to accelerate post-consumer recycling goals. Conrad MacKerron, senior vice president of As You Sow, today congratulated McDonald’s on its “industry-leading” goals, saying this action follows several years of dialogue by As You Sow with McDonald’s as well as quick service peers like YUM Brands, Dunkin’ Brands, and Chipotle asking for in-store packaging to be recycled or composted.